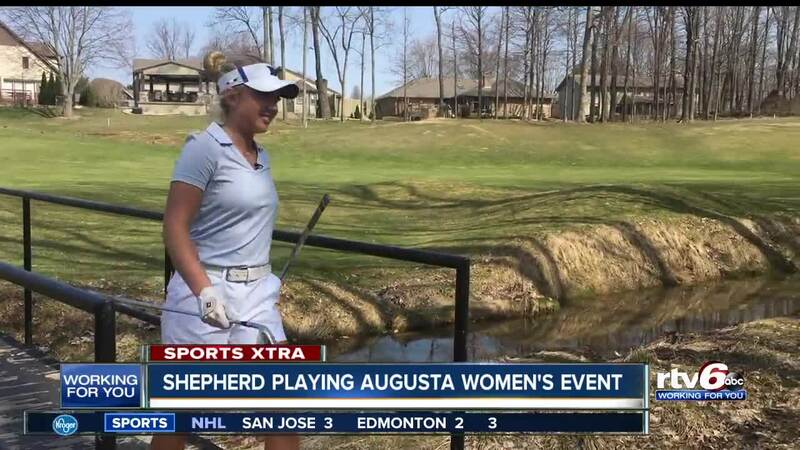 Shepherd playing Augusta Women's event. GREENWOOD — A new tradition at the Augusta National has a young woman from Greenwood ready to be part of history. Erica Shepherd's not quite done with high school, but her golfing career has already taken her around the world. Shepherd will be part of the powerhouse program at Duke University in the fall, but she's spent the last few weeks focused on an event that's making an important statement for the game of golf. "I think it's amazing, especially being the first one. There's going to be so many little girls watching it," Shepherd said. "It'll inspire the next generation and be great for the game." Augusta National Golf Club is holding its Inaugural National Women's Amateur Tournament this week. Erica earned one of just 72 invitations to be in the field and players representing 25 countries will be there. It's the first time women will be competing at the hallowed grounds that have hosted the masters for more than 80 years. "Augusta is what you grow up watching," Shepherd said. "Some of my earliest memories is watching the Masters on Sunday with my dad and just everything that's happened there." Shepherd has been around world-class talent before. She made the cut in the Ladies Professional Golf Association's Indy Women in Tech Championship last summer at Brickyard Crossing, and she qualified for the 2018 U.S. Women's Open. "It's amazing, I think, for it to be my last summer in Indiana, so to go out with this and hopefully play in it while I'm at Duke too, it'll be a good way to cap off my summer," Shepherd said. "Sometime after I graduate from Duke I would like to pursue my golf career and be the first woman to ever play the Masters as an amateur," she said. "I love having to use my imagination on the course - that's what Augusta is known for. So, to get to play there would be good either way." Shepherd landed a spot in the top 30 and, if she makes the cut, she will have a chance to play the final 18 holes at Augusta National on Saturday.